Borgo San Lorenzo is the most important centre of the Mugello area, rised on the left bank of the Sieve river, in an area inhabited by the Etruscans and Romans. The village developed nearby a parish entitled to San Lorenzo, after the fall of the Roman Empire. During the X century it passed under the rule of the Florentine Bishops to which it rebelled in 1273. It was a theatre of struggles between the Guelphs and the Ghibellines followed faithfully by the alternate fates of Florence. In 1351 the walls and two gates (Porta Fiorentina and Porta dell'Orologio) of which very little remained were constructed. 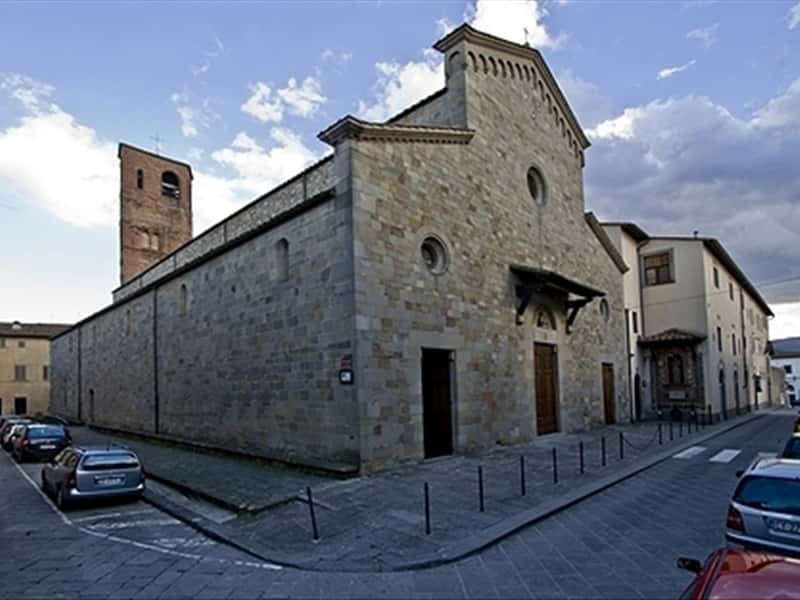 In the centre of the town we find the ancient Parich church of San Lorenzo, built in 941 and reconstructed in 1263. Many and valuable works of art are preserved inside, such as Madonna, attributed to Giotto, a panel of the Crucifix from the school of Giotto , Madonna on the Throne with Child by Agnolo Gaddi, The Virgin and the Saints Francis and Domenicby Matteo Rosselli. The apse holds the frescos of Galileo Chini. On the right side of the façade, we find a tabernacle in polychrome terracotta by the Chini Furnace. We also suggest to visit the Santissimo Crocifisso dei Miracoli Oratory, built in the XVIII century to hold a wooden crucifix, possibly by Giovanni Pisano (XIV century), to whom numerous miracles have been attributed, the Gothic style church of San Francesco, the XVII century Cappuccini di San carlo Convent, the Parich church of San Giovanni Maggiore (X century), the Museum of Peasant Civilization and the Museum of Chini manifactures. This town web page has been visited 38,069 times.